CVS Health (NYSE:CVS) is scheduled to release its fourth quarter results on February 20. The company had posted a 2.4% increase in sales to $47.3 billion with adjusted earnings reported at $1.73 per share in the previous earnings for Q3. This growth was primarily driven by higher prescription volumes within the retail pharmacy business. The top line got a major boost by a strong Pharmacy Services segment, benefiting from the upside in the specialty services. The company’s retail business also showed improvement, with revenue from the front store, which includes products like makeup and vitamins, increasing 2% from last year while same-store sales were up 0.8 %. The company also has closed the $69 billion purchase of health insurer Aetna in November 2018. 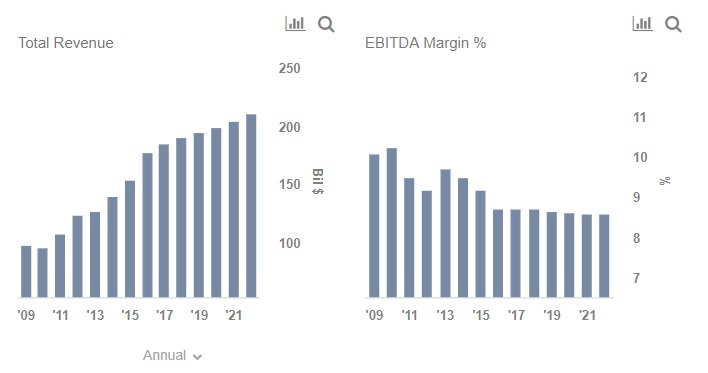 Looking ahead, the company expects its GAAP diluted EPS from continuing operations to grow in the range of $1.40 to $1.50 for the full year 2018. CVS is focused on long-term growth initiatives and to invest in process improvements and technology enhancements that will position them well to expand their reach in providing access to high-quality and more affordable care. The company is also upbeat about sustaining a solid year-over-year revenue trend in Q4, thereby realizing gains from the Pharmacy Services segment. Please refer to our dashboard analysis Outlook For CVS’s Q4 2018 results. 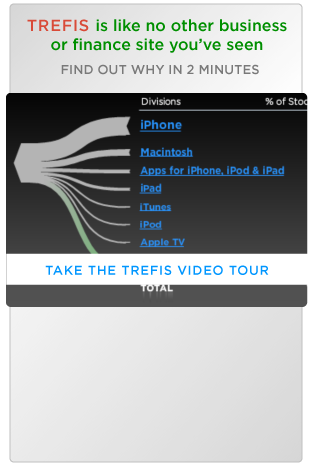 In addition, here is more Trefis Consumer Discretionary data. Retail/LTC segment – In its Retail/LTC segment, revenues increased by 6.4% to $20.9 billion in Q3 driven by an increase in same store prescription volume of 8.7%, on a 30-day equivalent basis, due to continued adoption of the Patient Care Programs, partnerships with PBM’s and health plans, and inclusion in a number of additional Medicare Part D networks this year, as well as brand inflation. In the upcoming Q4, growth for this segment will follow an upward trend driven by solid same store script growth as a result of partnerships established with PBMs and health plans. Increased participation as a pharmacy in Medicare Part D networks will also boost results. Pharmacy Services segment – In its Pharmacy Services segment, CVS grew by 2.6% to approximately $33.8 billion in Q3 driven by growth in pharmacy network and specialty claim volume as well as brand inflation, partially offset by continued price compression. This segment includes the pharmacy benefits manager business and specialty pharmacy services. The company expects drug price inflation, product launches, and higher utilization to fuel growth and this segment is expected to be a stable growth platform. Acquisition of Aetna gives A Major Boost to CVS’s Business- Completed in November 2018 the $69 billion merger deal with Aetna will be a major boost to CVS’s business in Q4 2018 and beyond. The combination provides consumers with a more integrated experience, reduced costs, and improved access to health care experts in homes. This will combine CVS’s dense local presence through pharmacies and clinics, with Aetna’s health care benefits and services. CVS’s PBM business will get a shot in the arm due to greater negotiating power with the drug companies. The company will also be gradually able to tap into Aetna’s 45 million user base and provide them with its offerings which include pharmacy benefit management – the negotiation of drug prices on the behalf of insurance companies – MinuteClinics, home infusion services, and long-term care pharmacies. The CVS Management stated that CVS Health’s specialty business is its top priority to help it expand its customer base. The company is more than poised to capitalize on this opportunity on the back of wide and differentiated offerings including Specialty Connect. All in all, we anticipate CVS to continue its healthy growth momentum in the coming earnings and beyond, with a rise in the top line.